New mantle convection models suggest that rocky planets dominated by intrusive magmatism can cool down more efficiently than those dominated by extrusive volcanism. Rocky planets are bodies primarily composed of an iron core, silicate mantle and crust. The Earth is a rocky planet, alongside Mercury, Venus and Mars. Their interior dynamics, driven by cooling from the top and various internal heat sources, have different surface expressions, generally known as tectonic regimes. The tectonic regime experienced by a planet is one of the two major controls on the transport of heat from the interior to the surface. For example, plate tectonics - the tectonic regime active on Earth and characterized by significant surface motion - results in high average surface heat flow, which leads to efficient planetary cooling. 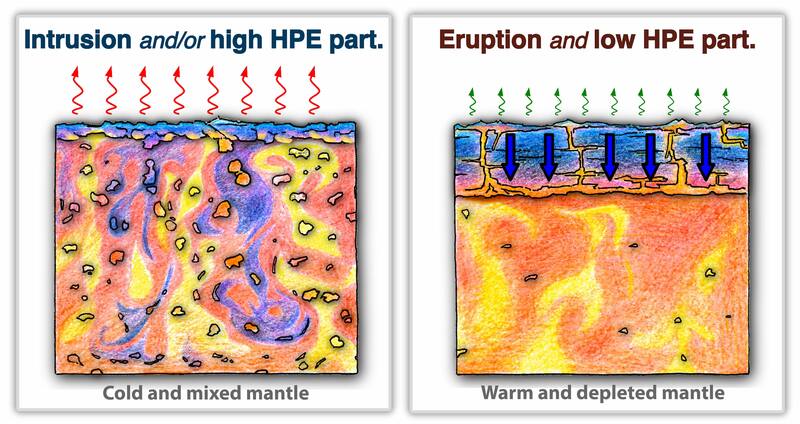 The second major control on planetary heat loss is magmatism. For example, in Jupiter’s moon Io, heat is lost from its interior through volcanic channels that transport material and heat to the surface. This volcanic eruption driven regime is thought to be one of the most efficient modes of cooling internally convecting rocky bodies. A few years ago, we set on a path to understand more about the effects of melting on rocky planets. 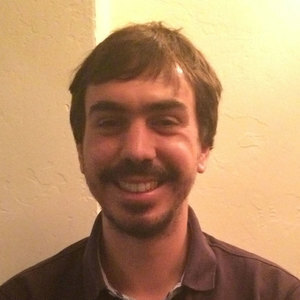 Our approach is to use computer models that simulate the dynamics of the mantle of rocky planets, and which incorporate melting and crustal production. In this study, we also take into account magma emplacement and crystallization at depth. This comes from the fact that studies of terrestrial magmatic processes show that less than 20% of melt erupts at the surface through volcanism, with most melt being intruded into the crust. Signatures of large magmatic intrusions are also found on other planets, such as Venus. We started by looking at the effects of intrusive magmatism on the surface mobiliby of an Earth-like planet, but it was when we looked at the cooling of the body with time that things got interesting. In short, we found that for planets that do not experience subduction in their history, intrusive magmatism leads to a more efficient cooling than extrusive magmatism. This was quite unexpected and counter-intuitive. Think about it this way: a planet with many volcanoes where magma erupts to the surface should lose heat more efficiently than one where magma does not erupt to the surface and is retained at depth, right? Well, it turns out this is not the case. The cartoon in the figure below explains why. Basically, warm intrusive magmatism acts to thin the lithosphere (the stiff topmost layer of rocky bodies), leading to sustained burial of overlying crustal material. The thin lithosphere allows for efficient heat conduction across it, and the sustained recycling of basaltic crust leads to an enriched upper mantle that melts more easily. These two factors cause a very efficient cooling of the mantle. In contrast, volcanic eruptions result in a thick lithosphere that insulates the upper mantle and inhibits crust recycling. This leads to a depleted mantle that allows the formation of little melt and prevents efficient cooling. Furthermore, we find that heat loss due to intrusive magmatism can be particularly efficient compared to volcanic eruptions if the partitioning of heat producing radioactive elements into the crust is weak. This happens because if heat producing elements concentrate strongly in the crust then this will tend to enhance its recycling into the mantle, which in turn results in more efficient cooling of the planet. Dynamics and internal state of a planet/moon dominated by intrusive magmatism (left) versus dominated by eruptive magmatism (right). HPE stands for heat-producing elements and part. for partition. Our study shows the fundamental importance that the mode of magmatism experienced by rocky bodies has on the thermal and compositional evolution of their interior. It affects the way we look at the evolution of different rocky bodies. One of the examples is Venus, where subduction is not active and extensive evidence of intrusive magmatism is found. Another is the early Earth. We do not know for how long Earth has had plate tectonics. But we know that plate tectonics needs a lithosphere thick, cold and dense enough to initiate subduction and keep it self-sustaining. This means that if intrusive magmatism was dominant in the early Earth, then we can expect fast cooling of our planet. This could help us constrain better the time of initiation of plate tectonics, key for the development of life. Finally, understanding the intrusive:extrusive balance in different bodies will help constraining outgassing, atmospheric evolution, active tectonic regimes, and the potential for the development of life not only in bodies in the Solar System but also in the many extra-solar rocky planets discovered over the last years. I really like your illustrations!